By Janvic Mateo and Jaime Laude (The Philippine Star) | Updated May 24, 2017 - 12:00am MANILA, Philippines - With more than six million Filipinos fleeing their homes due to natural disasters or conflict last year, the Philippines ranked second to China in the recent internal displacement report released by the Geneva-based Internal Displacement Monitoring Centre (IDMC). The report released on Monday showed that more than 5.9 million Filipinos were displaced last year due to natural calamities, while another 280,000 were displaced due to conflict. “The Philippines experienced very high levels of displacement again, both in absolute terms and relative to population size. There were 5.9 million new displacements (caused by natural disasters), including the two largest events of the year,” the report read, citing typhoons Nock-Ten, known locally as Nina, which made landfall on Christmas Day, and Haima (Lawin) in October. “The data is far from comprehensive, but most people appear to have been able to return home relatively quickly. That said, based on the number of people still sheltering in evacuation centers, around 31,000 were still displaced a month after Haima struck, and around 400 a month after Nock-Ten,” it added. Top-ranking China recorded more than 7.4 million people displaced due to natural disasters last year. Third on the list is India, which had displacements of 2.4 million due to disasters and another 448,000 due to conflict. The IDMC recorded more than 31.1 million people who were internally displaced worldwide last year. More than 75 percent of them or 24.2 million were due to natural disasters, while the remaining 6.9 million were due to conflict or violence. The IDMC said weather-related hazards comprise the bulk of internal displacements caused by natural disasters. It noted that Nina alone triggered the mass evacuation of as many as 2.6 million people, the largest disaster displacement event of 2016. “Government data six days later captured just 230,000 displaced people staying either in or outside evacuation centers, a figure that had dropped to only 368 by the end of January 2017,” it said. Low and lower middle income countries bear the brunt of internal displacement every year, according to the IDMC. “The majority of new displacements in 2016 took place in high-risk environments characterized by low coping capacity, high levels of socioeconomic vulnerability and high exposure to natural and human-made hazards,” it said. 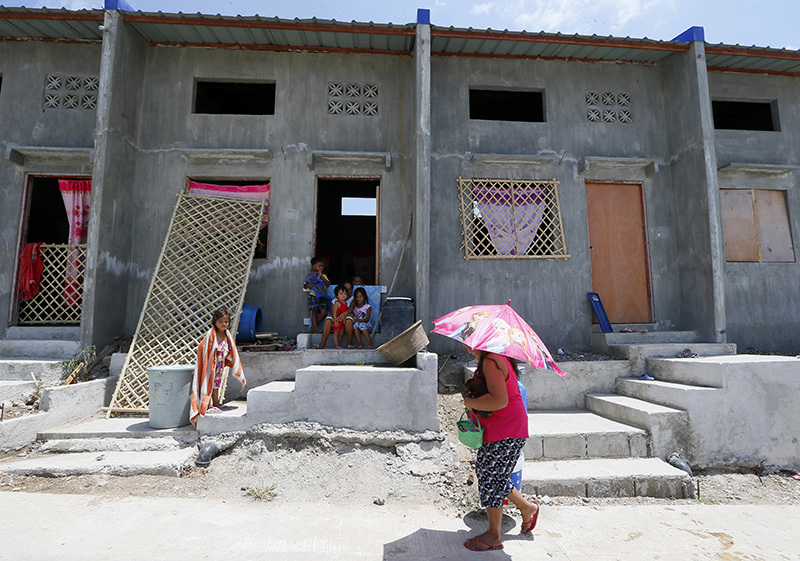 Sought for reaction, the Department of Social Welfare and Development (DSWD) said it is ensuring that the government immediately addresses the needs of displaced Filipinos by going to evacuation centers and affected communities. “We are also working harder to make the assistance programs we have more accessible to them, such as the emergency shelter assistance funds, the Assistance to Individuals in Crisis Situation program; the interventions for women, for children, for senior citizens,” DSWD media relations officer Ina Silverio told The STAR. “We also exert greater effort to release the family food packs, as well as non-food items such as dignity kits, as soon as possible,” she added.